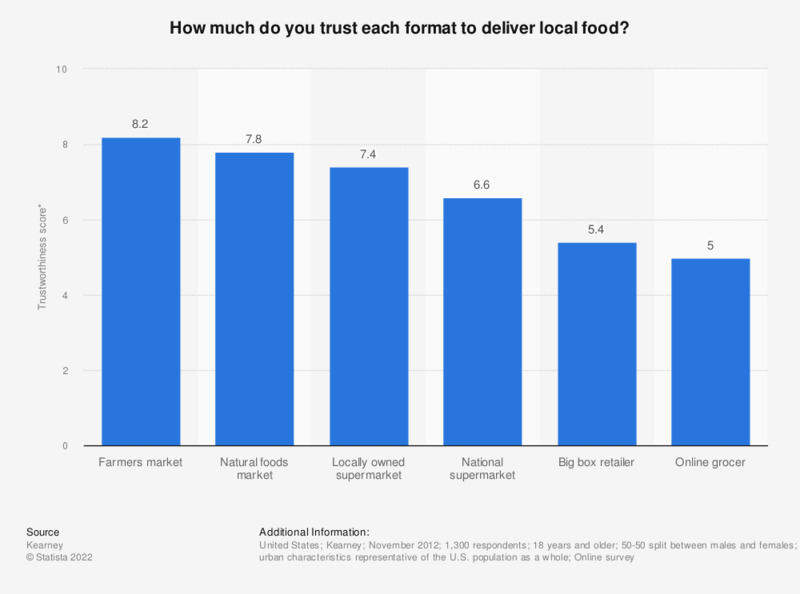 The statistic depicts the results of a survey conducted in November 2012 by A.T. Kearney concerning the trust U.S. consumers have in different grocery formats to deliver local food, ranked on a 1-to-10 scale with 10 as most trustworthy. Farmers markets were the most trusted to deliver local foods, with a score of 8.2 out of 10. * The figures are displayed on a scale from 1 to 10, with 10 as most trustworthy.